The world’s biggest challenges are also the biggest opportunities. Here’s why we need more people who are just a little bit crazy to tackle them. Dear entrepreneurs – I want you to dream so big and so audaciously that people call you crazy. The only caveat is that if you just happened to be actually crazy. You should always remind yourself that the day before something is a breakthrough, it’s just a crazy idea. I have a secret to share with you about building a billion dollar business. To create a billion dollar business, all you have to do is successfully solve a $10 billion problem or simply solve a problem that impacts billion people. Entrepreneurs need to change their mindset from scarcity to abundance. We should remember that everything that we consider scarce on earth is actually in abundance in our universe. 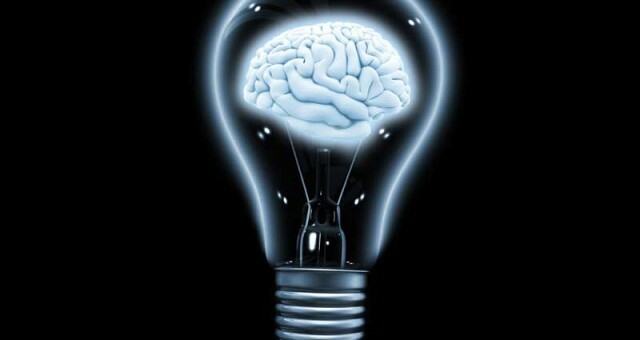 In fact, the most scarce resource we have in our universe is entrepreneurs with creative and curious mind. I believe that there is absolutely no problem that innovation and entrepreneurship can’t really solve. Entrepreneurs should consider many of the world’s biggest challenges as their biggest opportunities. For instance, let’s consider our education system. The general conception is that the current education system is broken. I would say that it is not broken, but is obsolete and unsuitable for the present era. Therefore, I believe that our education system is ripe for disruption. The disruptions should be towards changes in the system so as to facilitate a collaborative learning environment, where students are encouraged to explore practical implementation of the acquired knowledge. What we need is an education system that is adaptive, personalized, scalable and fun. By doing so, we can hugely disrupt the industry and build a multi billion dollar business. “Doing well” and “doing good” are not mutually exclusive. The possibilities for disruption are there in many other sectors such as healthcare. The tablets are getting cheaper and it could be possible to own a tablet for a few dollars or even free. And, these devices could be equipped with censors which would, in turn, would be competing with medical professionals in diagnosing common ailments. This is not a future trend, and it is already happening. The most striking factor about these features is that they are being implemented by young teenagers. They prove that with exponential technologies, individuals or a group of people would easily chase dreams and carry out activities, joining the league of larger organizations or countries where such activities take place. It is really fascinating for me to learn that with several technologies at your disposal, many things are on the cusp of a transformation. In the imminent years, the genetics, synthetic biology and space exploration would be the most disrupting trends. If you look at the future of space exploration, it appears to be highly significant, as there is a lot happening around the idea that the space is abundant of things that are valuable or rare in this planet. The things could be water, platinum, diamond and so on. The prospect of bringing this abundance to our planet is quite exciting, and is sure to become a game-changer for the future. The future may see the humanity settling down in Moon or Mars, just like staying in Los Angeles, New York or U.K.
Further, it would be the biggest turning point when we would be able to predict how our brain would function in the next few years. Towards the future, decoding and reprogramming of human brain would become a possibility. And, with several concepts, which were earlier touted as science fiction becoming a reality, the whole system of learning is on the verge of a transformation. If you think something is impossible then it certainly is … for you. An entrepreneur’s success in the highly competitive and disruptive environment depends on tackling the big challenges. In my view, the first requirement for success for an entrepreneur is to dream big. The second aspect that prevents entrepreneurs from succeeding is fear of failure. Your initial idea may or may not work but you have to remember that a failed idea is nothing but a stepping stone to a bigger success. As an entrepreneur, you only fail when you give up.